I want to make the conversion from disposable to cloth diapers, but I don’t know where to begin. There are so many styles and brands, and do they really work as effectively as disposables? What do you recommend? Help! I’ve received the above question in similar form from several readers. As a cloth diapering mom, I’ve been searching for the BEST type of cloth diaper to really hold up to overnight wetness. However, I don’t want a diaper that is so bulky that my son won’t fit into his clothes. Then, there’s the issue of cost. Sure, I want the safest option for my baby that’s also easy on the environment. But, when economic times call for penny pinching, I need an option that’s also easy on the wallet. Traveling with Baby’s Cloth Diapering Review compares 9 brands bum-to-bum to give you the most comprehensive information for smart shopping. This review will evaluate 1) effectiveness during nighttime wear, 2) aesthetics and bulkiness, 3) ease of use and maintenance, 4) most comfortable, and 5) value. Before proceeding, it’s essential to define key terms to help cloth diapering novices familiarize themselves with the extensive varieties and accessories associated with cloth diapering. All-In-One (AIO) – An all-inclusive cloth diapers include an absorbent interior lining as well as a waterproof outer layer or cover. These may fasten with velcro or snaps. 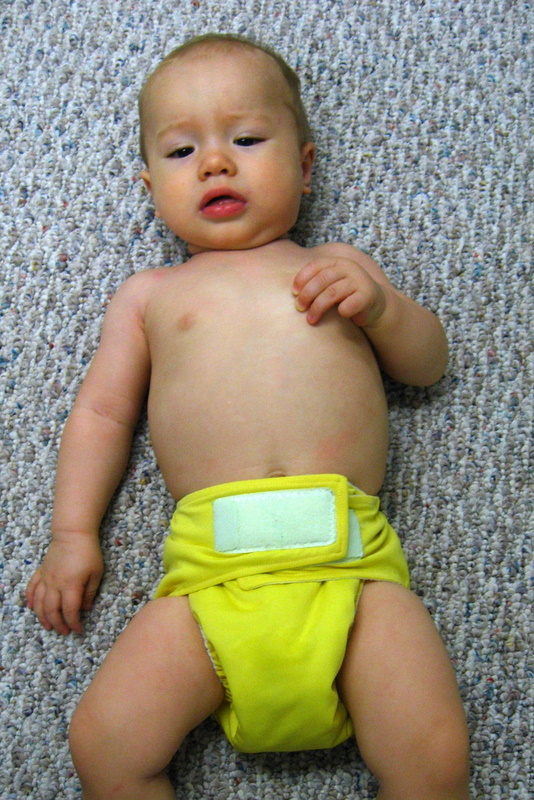 Fitted – A shaped cloth diaper with fasteners (either snaps or velcro) and elastic gathering around the waistline and leg holes. 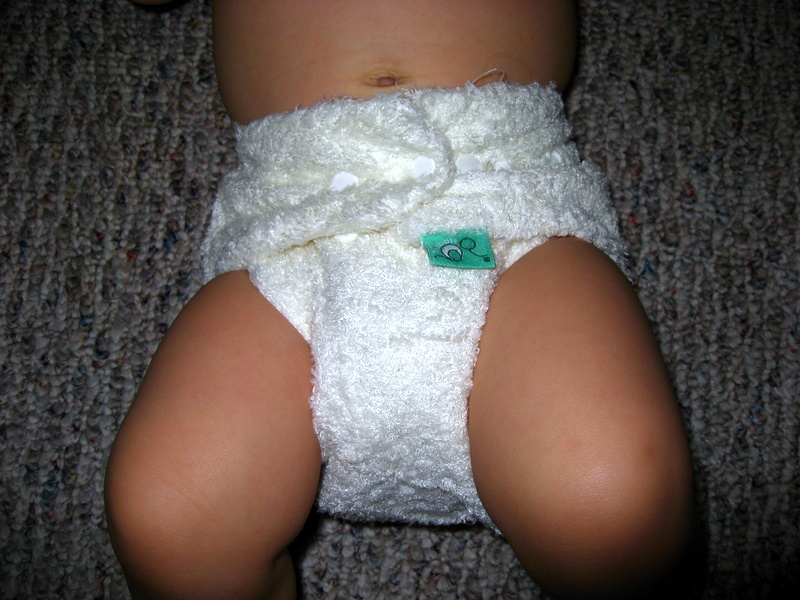 Contour –A shaped “fitted” cloth diaper (typically made from fleece) without fasteners or elastic gathering around the waist or leg holes. Covers – Waterproof fabric that either wraps which fasten in front (velcro or snaps), side closures which secure on the sides (snaps), or pull-ons which are already pre-sized. Covers are used with fitteds or prefolds since they have no other waterproof outer layer. 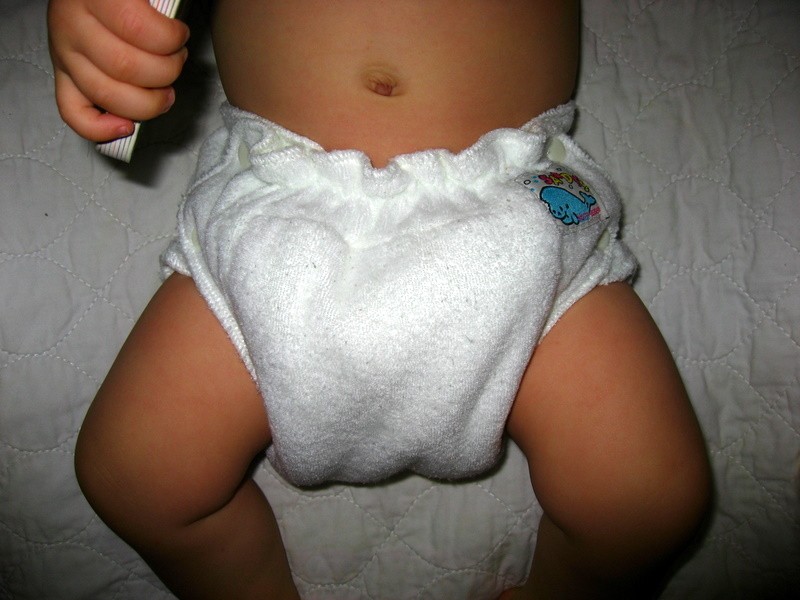 Doublers/Liners – Strips of fabric used to increase absorbency of a cloth diaper. 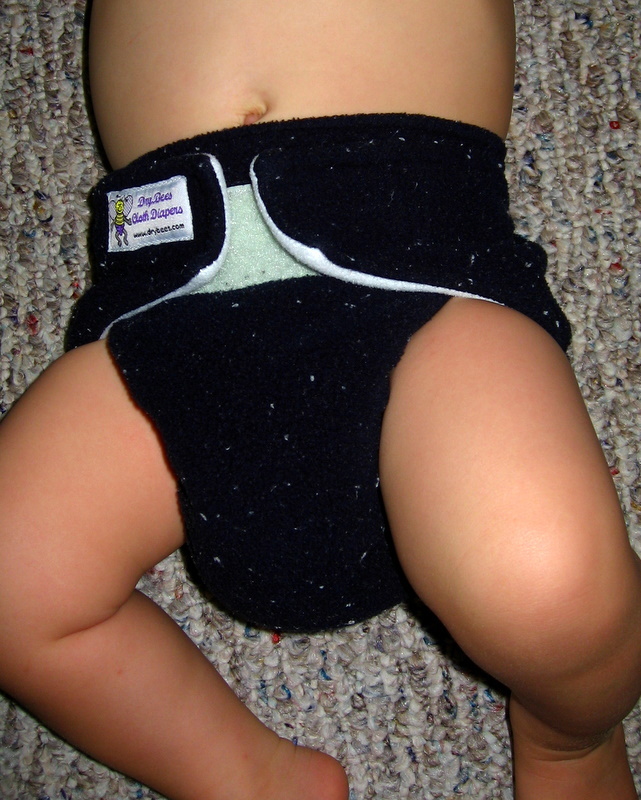 These can be used with any type of cloth diaper for extra wicking such as nap times or nighttime. One Size –This type of diaper grows with your baby. 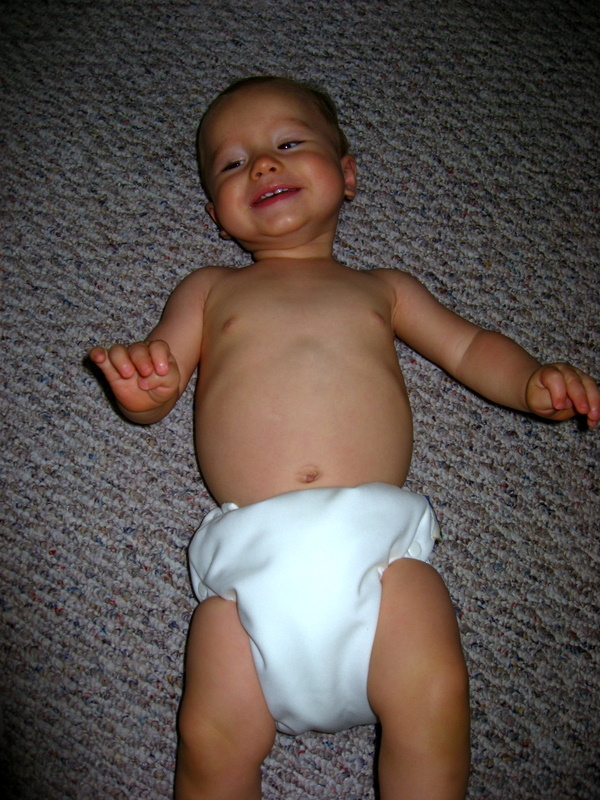 Some all in ones and pockets are also one size diapers with a variety of fastening options for an infant to toddler. This is a great economic option. Pocket – Similar to an AIO with an absorbent and wicking inner-layer usually comprised of fleece, plus there’s a waterproof cover which is either fleece or PUL, and an opening either in the back or the front which creates a “pocket” which can be stuffed with the desired layer of absorbent inserts. Velcro or snap fasteners are included. PUL – Acronym for polyurethane lining. Waterproof-lined fabric used in outer layer or covers of cloth diapers. Snappis – “Y”-shaped plastic fasteners that have sharp “teeth” to allow you to fasten prefolds or contours which don’t have their own built-in fasteners. My overall top picks in various categories are listed below. I found pocket diapers with several layers of liners to be the only type of cloth diapers to hold up for night time or naptime use. Continue to read for more specific reviews on each style that was tested. You can compare prices and click on the associated hyperlinks to be directed to retailing sites. If you’re comfortable with purchasing or freely accepting gently used diapers, it’s a great way to save on cash. 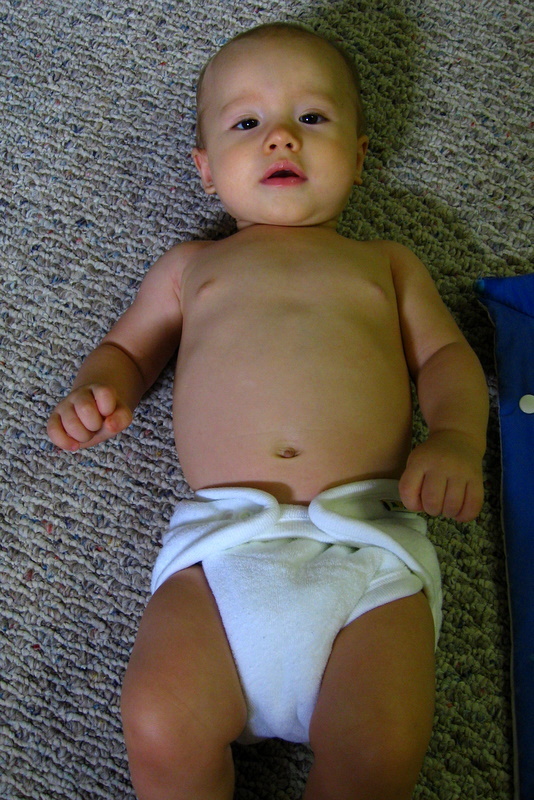 Most cloth diapers have a long lifetime and can last through several babies. I received some gently worn, and although they’re an older style, they’ve held up well and I’m just as pleased with them as the ones I purchased new. I hope you find the review helpful in your journey with cloth diapering. Scroll down to read about various diapers which are categorized alphabetically. This fantastic pocket diaper utilizes a fleece liner, polyester outer shell, and an envelope pocket with 2 inserts, and reusable flannel wash cloths. This diaper fastens on the sides with velcro. Snap downs on the front enable an infant to wear it through toddlerhood. I love this one-size diaper because it grows with baby, up to 35 pounds. I began using this on my son when he weighed 12 pounds. Now, my 25 pound baby boy can still comfortably wear this at night. The velcro is great for putting on the diaper in a jiffy. However, as my son’s gotten older, more dexterous, and increasingly curious, he’s apt to unfasten the velcro. I prefer snaps on diapers for older babies since those are harder for them to open. The liner doesn’t pile over time, and this attractive diaper has held up well over several months of use. 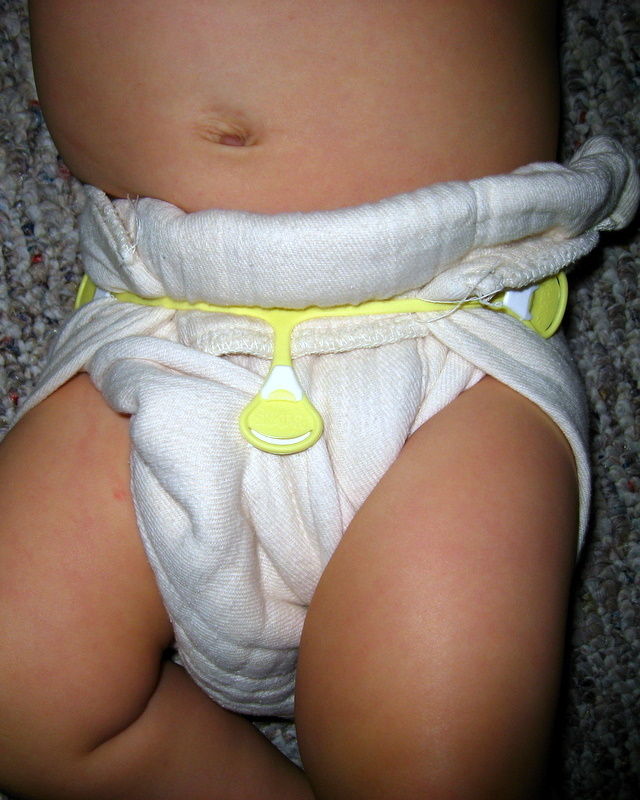 The fabric surrounding the center bottom snap became separated from the snap, but it doesn’t affect the use of the diaper. At this point, it’s only an appearance issue. The 3.0 comes with an infant microfiber insert and a one-size microfiber insert. I also tested it with the Hemp Babies inserts. When I first began using this diaper, I found that one insert was not enough for night time use because my son was still nursing 2 to 3 times at night which created a lot of output. When I doubled or tripled inserts, this became one of my favorite diapers for night time use. One insert works great for daytime use. Even with multiple inserts, this diaper isn’t too bulky, and it does a great job of keeping my son dry. Because of the great durability of this diaper, great construction, and the fact that it’s a one-size for baby to grow in, I think it’s one of the best values for pocket diapers on the market. This diaper requires pre-stuffing of a liner (or 2 or 3), and removal before washing. Check out Cotton Babies‘ detailed info on the 3.0. Purchase a bumGenius! 3.0 one-size pocket. Of all the diapers tested, this was definitely the softest…as in fuzzy, angora sweater softness. I love that it’s made from sustainable fibers: 4 layers of bamboo fabric which is more than twice as absorbent as cotton. A doubler is sewn inside for extra absorption. You can fold the doubler for more absorption where needed based on whether you have a boy or girl, or whether your baby sleeps on his belly or back, or whether you’re using it day or night. I like having options! For prep, this diaper needs several washings before it’s ready for use. It fastens with snaps which I like because they’re more difficult for a baby to unfasten compared to velcro. However, the size 2 diaper (for babies weighing 10 to 35 pounds) was initially just a little too wide in the waistline for my son. More snap options would easily fix this dilemma. He fits into it well now that he’s added a few more pounds. 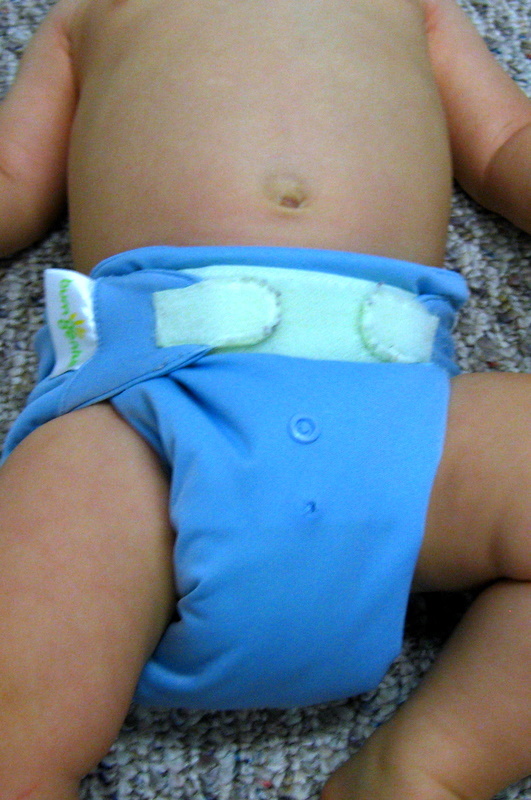 Since it’s worn similar to a fitted diaper, it requires a wrap or cover. I liked using it with the Bummi’s Super Whisper Wrap which fit it well and looked adorable with the frog print. This fitted diaper is pricier than most fitteds, and even compared to some pocket diapers. However, most apparel items made from bamboo fibers tend to be more expensive than cotton. You do get what you pay for, and I personally love the feel of bamboo as well as its durability to maintain soft, silky texture even after numerous washings. Cotton doesn’t hold up nearly as well as bamboo. This diaper shot to the top of the list for perceived comfort. It’s a great diaper for day use and nap time, but it wasn’t quite absorbent enough for night use. If lined with an additional microfiber or hemp liner, then it passes the test for night use with ease. Read about the Bamboozle on Bummi’s site. Purchase Bamboozle . Purchase a Super Whisper Wrap . These are a great staple for cloth diapering. They’re compact, easy to clean, easy to store, and work for multiple uses (think: burp rags, smaller prefolds become liners for bigger diapers, roll ’em up for neck support in a car seat, use ’em as a changing pad in a pinch). I think every parent could use several of these on hand. We’ve used them since our son was an infant. When we’re all out of the other, fancier cloth diapers, these were always a saving glory. If you’re practicing Elimination Communication (EC) these diapers are perfect to just lay underneath your baby when getting used to his output patterns. I used the unbleached prefolds which come with a waxy surface when purchased new. They had to be washed several times (5 to 7) before becoming absorbant, non-waxy, and usable. These may or may not be used with a waterproof cover to prevent baby’s clothes from getting wet. My sister-in-law is a sewing wizard who made several fitted cloth diapers and covers for our son. I also used wraps from Bummi’s and Mother-ease. For a great photographical tutorial on how to accomplish various diaper folding techniques with prefolds, check out the Diaper Hyena for Diaper Folding 101. Also, visit the Diaper Pin for Prefolds 101. Purchase prefolds, or diaper covers/wraps . I was nothing less than thrilled with the appearance and performance of this diaper. Both DryBees diapers that I tested quickly floated to the top of my list of faves. I can’t imagine why there isn’t more buzz (no pun intended) about DryBees among parents who use cloth, because it’s an amazing diaper that works just as well if not BETTER than other pocket diapers, and it’s priced competitively with similar styles. 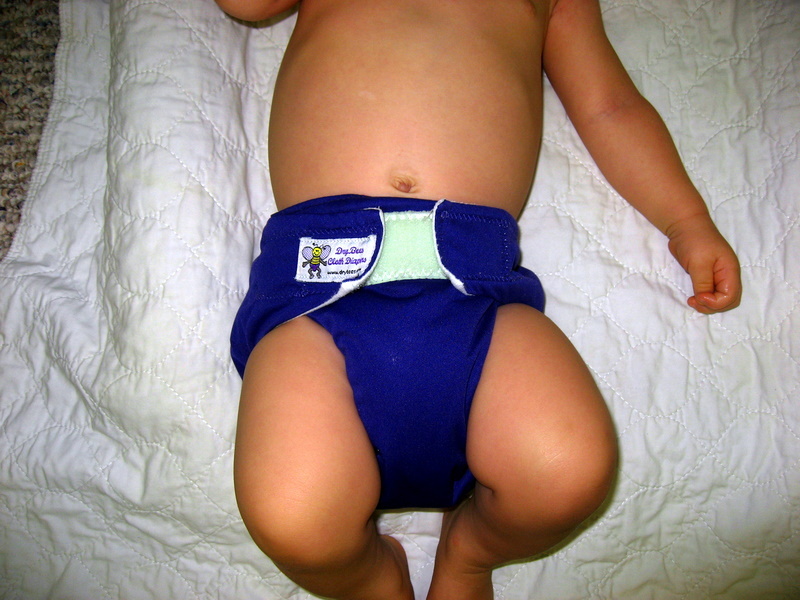 This diaper fastens with velcro closures for a snug fit around the waist to prevent leakage. 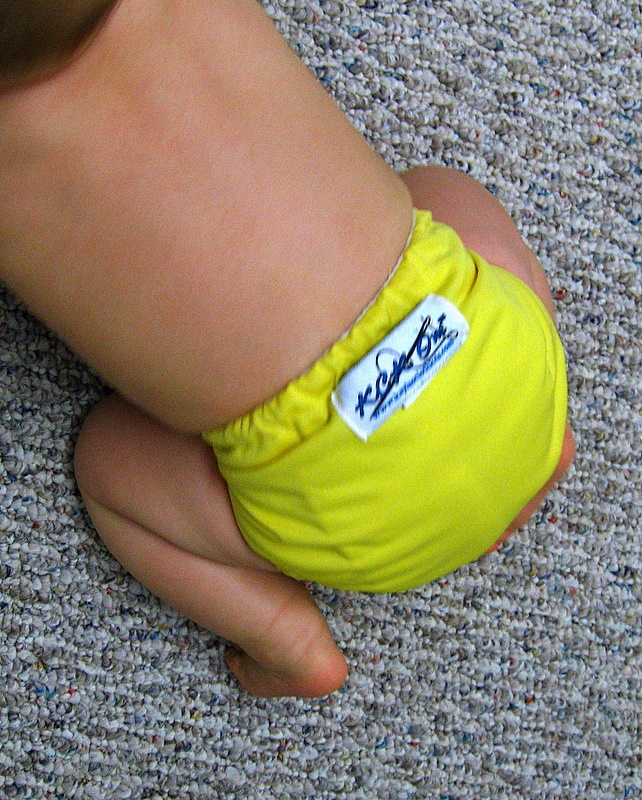 The elastic around the legs also prevents leakage, but stays comfortable around baby’s thighs. There is a rear pocket with a slight amount of elastic to keep the liner in place and prevent wetness from leaking onto baby’s back at night. I loved the style of this pocket at first sight. An absorbent liner is already sewn in the interior, but it comes with an additional liner for babies that need more–like my son. This diaper not only made the grade for night time use, but it can also be worn for day use and it doesn’t have a lot of extra bulk. I found that I preferred this diaper over and over again for night use, road trips, or times when diaper changes weren’t always convenient (church or appointments). Purchase a DryBees AIO Hybrid and read more details about the product from DryBees. When I first began my search for the perfect diaper for night use, my son was a v-e-r-y heavy wetter at night. For many of the pocket diapers I reviewed, I had to re-try them at bedtime by stuffing with more liners each subsequent use until I found the magic amount that worked. However, it was so simple when I used the Fleece night time. I used one or two liners…that’s it! It just worked, and it worked better than any other diaper on the first try for overnight use. This diaper incorporates a heavy weight fleece on the outside and a milled suede cloth lines the interior to keep baby’s skin dry. I love that it doesn’t need a waterproof cover, but the super heavy and absorbant fleece also protects against skin irritation with its breathability. Velcro fasteners ensure a perfect fit. You can fold down the front and velcro to the folded down interior for babies with a shorter rise. The elastic trim on the thighs prevents leakage and keeps baby comfortable. The main drawback with this diaper is that it is extremely bulky, especially in comparison to other pocket diapers. So, you’ll find that baby’s pajamas may not exactly fit when coupled with this diaper. I used a sleeping bag or left some pajama snaps unbuttoned, and it worked well. I chuckled to see my son in this diaper with his extra padded bottom–it reminded me why this brand is called DryBees because he looked like he had a little bumblebee bottom. He still comfortably slept on his back with this diaper, but it’s even better for babies who are side or belly sleepers. If you have a baby who has a significant output at night and you’re still nursing throughout the night, I’d suggest this diaper above all others. Hands down, TOP choice for night time use. Purchase a DryBees Fleece Night Time and read more details about the product from DryBees. It’s a big diaper. Long, wide . . . BIG. It fits much better on my son now that he’s 9 months-old and weighs 25 pounds, compared to when he first started using it at 5 months of age and weighing 14 pounds. Even though it’s big, I like that a baby can grow into it. 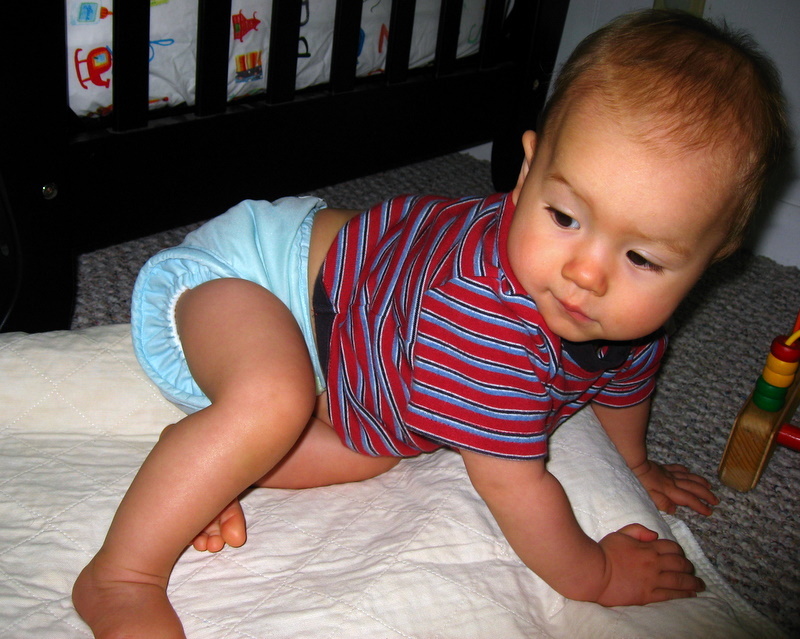 With snaps for fasteners, they work well for an older baby to prevent unfastening of his own diaper. 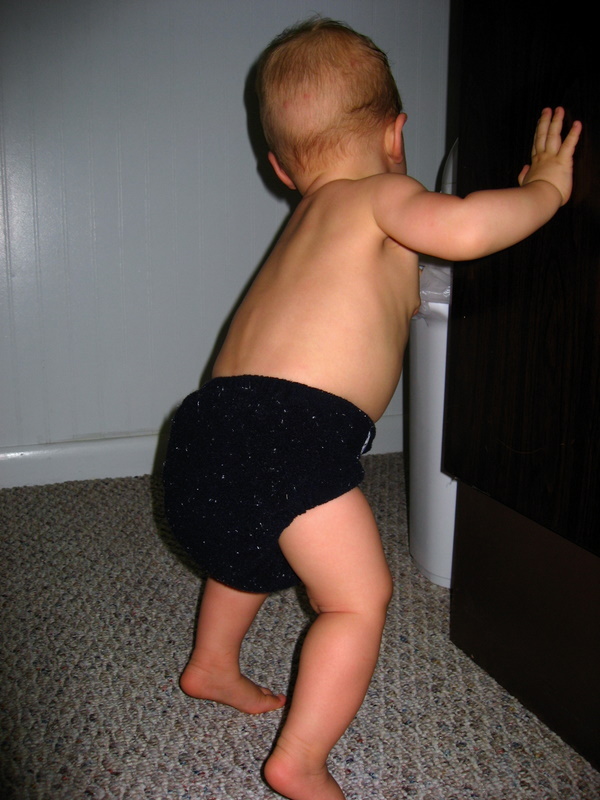 However, for a smaller or younger baby, I found the snaps for the smallest fit were still not as snug on the waist as I could get with other diapers using velcro fasteners. I had problems with it the first 2 times my son wore it for overnight use—it leaked from the pocket opening in the back through my son’s pajamas. He was NOT a happy baby, and needed a middle of the night changing. I’ve also heard from other readers who wrote to me experiencing leakage problems with this diaper. I had to work with it a little until I figured out how to make the pocket work for me instead of against me. Essentially, I had to fold down the liners so they didn’t cause the pocket to remain open at all. The pocket opening had to be flush with the outer layer of the diaper before I snapped my son into it. When he had heavier output at night, those extra steps did work. But, if I wasn’t the one who put him in his night time diaper, inevitably, he’d wake up soaked from leakage in the back pocket opening. Now, I love it for night time use, but my son’s output isn’t as heavy. I also like it for daytime use with fewer liners. 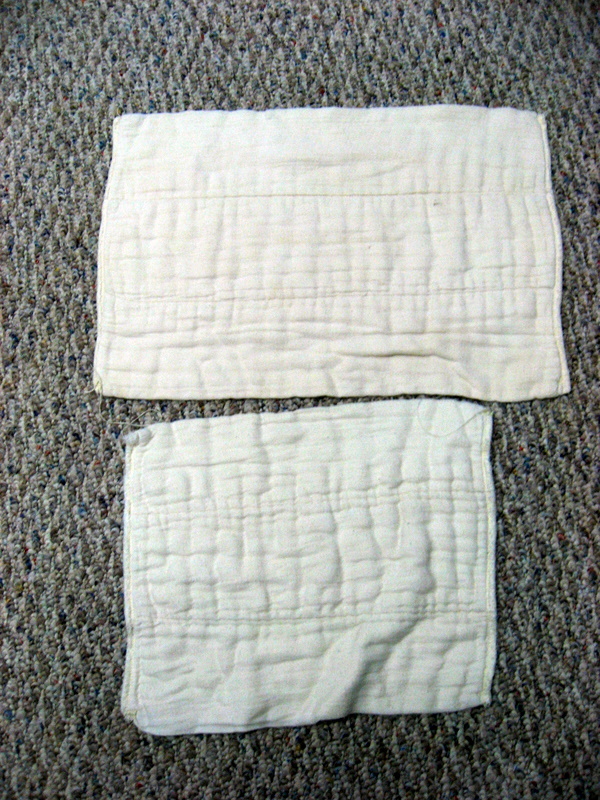 The inner liner did eventually pill after several washings—this was the only pocket diaper tested that ended up pilling. Overall, I felt like it was a nice diaper, but I found that other diapers worked better with far less troubleshooting for leaks through the pocket opening. Purchase a Fuzzi Bunz pocket diaper . Daytime use, overnight use, this is my favorite all-around diaper for a number of reasons. It’s a one size, so it grows with your baby. The front can fold down, and the velcro can fasten to the interior lining when baby’s smaller with a shorter rise. As baby grows, it still fits. I think this diaper is especially appealing for heavy wetting babies who are back sleepers. I found that other pocket diapers sometimes leaked if the back openings weren’t secure or too stuffed. There’s no such problem with the KCK One which has a front-loading pocket that lays flat. The interior liner is a soft microfiber fleece blend that wicks away moisture from baby’s skin. The legs are trimmed with elastic for a sure, snug fit that prevents leakage. This diaper isn’t manufactured from a multitude of workers who were hired by a large company, but when you purchase a KCK One diaper you are directly supporting a work-at-home mom (WHAM) who purchased the license to sew and label these diapers with the KCK One label. When I received this diaper from Maria, I was impressed with the sizing versatility of one diaper. The side tabs with velcro fasteners also have hook and loop closures on the outside of each tab which allows them to overlap for small and slender babies. This diaper worked like a champ for overnight use. I stuffed it with several layers, and by morning, my son was dry and there was no waistline leakage. This diaper is definitely one of my top picks. I only wish I had discovered it sooner—sleeping through the night might not have been such a struggle! Purchase KCK One Front-pocket diapers. 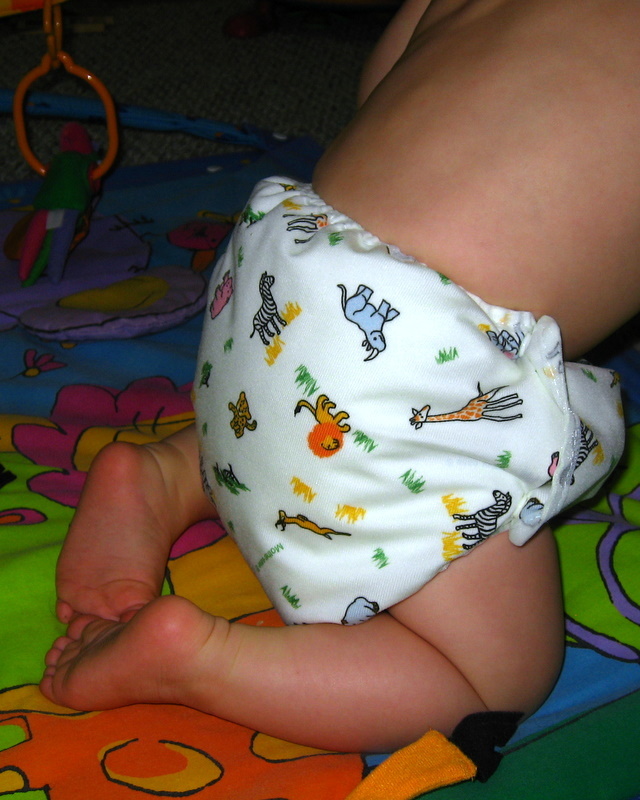 My son’s first cloth diaper was a newborn fitted that was made from a pattern similar to the Kissaluvs style. I loved them, and we used them for several months until he outgrew them. It was the fitteds that first got me hooked on cloth diapers, and I still consider them a great diaper. I was happy to try out a fitted made by Kissaluvs. I loved the super soft fleece which scored high on the perceived comfort scale. The snap fasteners allow for baby to grow into them. There are different size/weight options, but this diaper will last a very long time. There’s elastic on the waistline and leg openings which are snug and prevent leakage. This diaper doesn’t have a waterproof outer layer and needs to be used in conjunction with a diaper cover or wrap. I love this diaper for day use while at home because it helps my son to be aware of the wetness sensation which encourages potty training. I also used it during naptime with an extra microfiber liner for extra absorption. However, this diaper just didn’t have enough absorption power for overnight use. This diaper is the reason I prefer cloth to disposables. The Contour is like a Fitted without the elastic in the legs. There’s a thick inner liner sewn with stitching down the center to allow for easy cleaning while being laundered. There are no fasteners with this diaper, so pins or snappi’s need to be used to secure it. Also, it’s soft fleece, but it lacks a waterproof outer layer, so it needs to be used in conjunction with a cover or wrap. It’s easier to use than a prefold, and more absorbent. However, it’s not as effective as a fitted due to the lack of the elastic around the legs. The lack of elastic means that there is a likelihood of leaking through the leg holes. It’s not good for nap time or overnight use, but it’s a great back-up when you need a diaper in a jiffy. It takes up less room in a diaper bag than any pockets or fitteds that I tried, but I found the best time to use it is for day use while at home when getting my son used to the sensation of wetness while working on potty training. This inexpensive diaper isn’t something I’d stock up on in great supply for a small baby, but for the transition to potty training, it’s a great option compared to sized fitteds or underwear. Read about product details from Kissaluvs. Purchase Kissaluvs Contours . Purchase diaper covers . This is a well-made diaper, but because of the snaps which fasten on the sides, finding a good fit for smaller and more slender babies can be a challenge. This diaper lacks as much size versatility as other brands, but it is a good, solid diaper that uses absorbent cotton terry for the inner lining to keep baby dry. The legs have elastic, but I found them to be a bit roomier than other brands which meant leakage was inevitable if my son slept on his side. The sewn outer cover acts as a waterproof barrier. This diaper is plain and white, but effective. There is room inside to add an additional terry or microfiber liner, if needed. My son needed the extra liner. As a day use diaper, I found it worked well, although it was a little bulky. As an AIO, it’s easy to use and even easy to clean. No unstuffing of the pockets is necessary. Just use, remove, and throw it in the wash. Done. Read product details from Mother-ease. Purchase Mother-ease AIOs. This is as close to underwear as you’ll find in a diaper…one that grows with your child from infancy to toddler (8 to 35 pounds). The beauty of one-size diapers is that they are versatile with size. This one does a dandy job of enabling size changes with snaps. Add as many liners as you like for your child. You won’t need as much with a newborn, and there’s plenty of room for several layers for nap time use. This diaper isn’t robust enough for over night use, except maybe for a newborn. But, this is a great economical diaper which will last through your child’s growth. It’s available in regular white terry, terry combined with an extra moisture-wicking inner layer, organic cotton terry, and bamboo terry. I used the regular white terry, but I’d recommend the bamboo terry since it has extra absorption compared to cotton terry. This diaper is available in plain white or unbleached white. There are no fancy colors or patterns. It’s a plain, all-purpose diaper that just does the job. You’ll need to use this diaper with a cover since it doesn’t have a waterproof outer layer. Mother-ease makes an air-flow cover with side snaps, but I found that it didn’t offer enough snaps to size specifically to my child who is slender for his weight. If the waist and leg elastic are too loose, then leakage is a higher probability. Specifically for my son, I found other diaper covers and wraps to work better based on his particular build. Read product details from Mother-ease. Purchase Mother-ease One-Size. Purchase diaper covers . This is a soft, terry cloth fitted that fastens with snaps on the side. My son falls in the weight category for a larger diaper, however, he has a small waist, and the diaper was a little too loose. When coupled with a diaper cover, it was fine for preventing leakage, but if it had more size adjustment options with more snaps, it would fit taller and slimmer babies better. 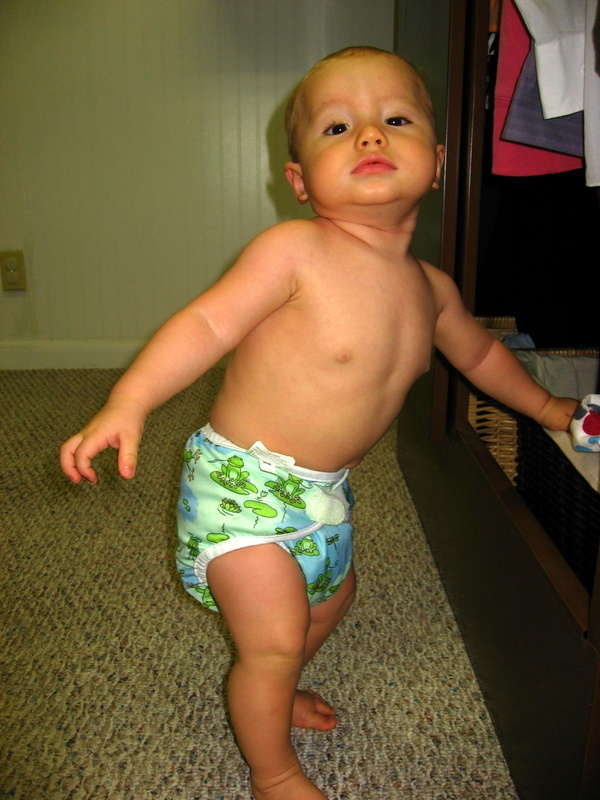 It’s a roomier fit with the elastic around the waist and legs compared to other fitted diapers I tested on my son. There’s an extra layer of terry sewn into the interior for extra absorbency. It also can be worn with an additional terry liner for naptime use. It doesn’t quite boast the absorbency level needed for overnight use, at least not with a heavy wetter. However, this is a great diaper for daytime use. It’s simple, plain, and white. Nothing flashy about it, but it’s comfortable and it works. It’s also available in organic cotton terry and bamboo terry fabrics. Since this is a fitted diaper, it needs to be worn with a wrap or cover. I preferred to use it with a Bummi’s whisper wrap which could adjust to my son’s waistline and prevent leakage. Read product details from Mother-ease. Purchase Mother-ease Sandy’s fitteds. Purchase diaper covers . What a beauty of a diaper! This is the “mother” of all AIO diapers. An all inclusive diaper that has 5 layers of hemp fabric sewn into two folding flaps for extra absorption, yet it can unfold in the wash for a thorough cleaning and drying. Less work for me means I’m more likely to use it! Also, the inner flap incorporates a strip of microfiber fleece for extra wicking power and comfort for baby. You can reverse which flap is against baby’s skin if you want your child to feel the wetness (the non-microfiber flap) to help with potty training. Another feature that makes this diaper stand apart from many others are its fantastic leg gussets with elastic. These gussets create less bulk around the thighs, yet the elastic keeps baby extra dry which is fantastic for a side-sleeper. Since the inner flaps fold over one another, they also create yet another “pocket” if you decide you need to add another liner for more absorption. I found this truly remarkable diaper to be sufficient without an extra liner for overnight use. This diaper gets high marks all around except for value. It reigns in a hefty price compared to others on the market which accomplish the same objective. However, if you want a really nice diaper to keep baby dry overnight, but you don’t want to deal with liners and pockets, then this may be the diaper for you. The velcro tab closure is nice. And, the tabs are designed such that it is difficult for baby to pull it open, unlike other diapers with velcro closures. Read more about the Rumpster, Oh! from the manufacturer’s site, CJ Swag. Purchase Rumpster, Oh! AIO’s. Wow. 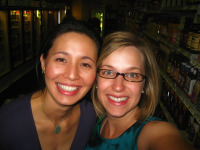 This is such a great and thorough post! Thanks for posting! Saw your post on PNOC. I really dislike BG3.0. For breastfed poos, they were a mess. Poop up everywhere. The set-in pocket made removing the poopy inserts really disgusting (and if they weren’t removed, they didn’t come out in the wash). The velcro tabs got stained in those days. And the Aplix just doesn’t last or wear nicely. Plus, the microsuede seems to irritate my kiddo’s rear end. I do like FBs, but they certainly have a nighttime learning curve. The older style mediums fit my kiddo pretty well. The new style mediums are too big for nighttime use. We stuff with an infant size prefold and a contoured insert at night. I pretty much only buy diapers (fitteds or pockets) with snaps now. I love this review, what an excellent job. Wish I would have had this when I first started CD. I use some diapers I made myself similar to a fuzzi bun but with velcro. I loved how easier they are to clean and care for. Great reviews! Lots of handy information there. Thankyou. Thanks so much for this review. It’s the most thorough and informative comparsion I have seen. I’m happy I stumbled onto this blog. Thanks! Henny, thanks so much for stopping by! Great review, wish I had read this a few months ago before I started my cloth diaper journey! I just wanted to mention that people can buy the pattern for the KCK One diaper online and make them themselves if you are interested. I did it this way and made the diapers for only $5 each. If your are inclined to sew this is a great diaper! I love your reviews very much, thanks for sharing your informative reviews with us. This is the best review I’ve found. It is loaded with practical information, from a mother’s point of view and is very helpful. It’s full of detail, and I like how you rated them on different aspects, so people could decide which features they wanted to go for. It came as a Godsend, answering my question of what to buy and where to start for cloth diapering. Thank you so much for taking the time to put this info out there and help other moms! I do have a question. Do you know where a Rumpster, Oh! AIO can be purchased? I can’t find an online retailer. The only one I could find was Forthemonster.com, and when I tried to purchase one from them, they refunded the money and told me they no longer sell them.